For those interested in how the events of the world fit together, here is the second part of my list of world events. For purposes of brevity, war related entries are kept to a minimum. The town of Bath is incorporated in the Province of Carolina, It is the first incorporated town in present-day North Carolina. The town becomes the political center and capital of the northern portion of the Province of Carolina, until Edenton is incorporated in 1722. 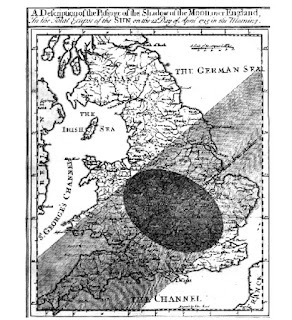 Anne, Queen of Great Britain honors Isaac Newton with a Knighthood. 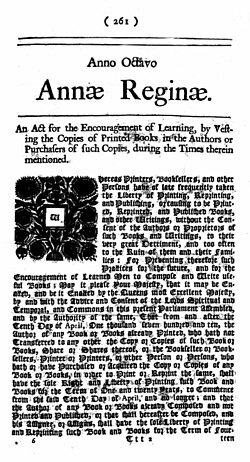 The English Parliament establishes the first “turnpike trusts.” These trusts place a length of road under the control of trustees, drawn from local landowners and traders. The turnpike trusts borrow capital for road maintenance against the security of tolls, and this arrangement becomes the common method of road maintenance for the next 150 years. 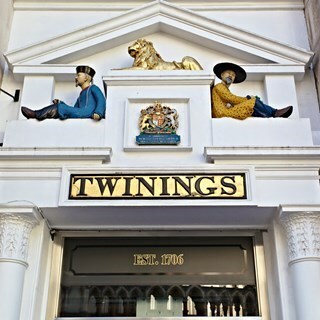 Twinings, founded by Thomas Twining, starts England’s first tea room at 216 Strand, London. It is still open. The Kingdom of Great Britain is formed when The Treaty (or Act) of Union, created from the union of the two Kingdoms of Scotland and England, is ratified by the Parliament of Scotland. 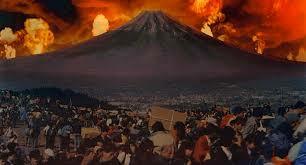 The last recorded eruption of Mount Fuji begins in Japan. A Native American attack in Haverhill, Massachusetts kills 16 settlers. Johann Sebastian Bach is appointed as chamber musician and organist to the court in Weimar. 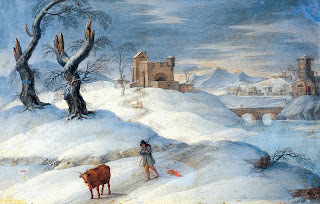 Western Europe's Great Frost of 1709, the coldest period in 500 years, begins. It lasting three months, and its effects are felt for the entire year. In France, the Atlantic coast and Seine River freeze, crops fail, and 24,000 Parisians die. Abraham Darby I successfully produces the first cast iron, using coke fuel at his blast furnace in Shropshire, England. During his first voyage, Captain Woodes Rogers – who will later become governor of the pirate island of New Providence - encounters marooned privateer Alexander Selkirk, and rescues him from of the Juan Fernández Islands, where Selkirk had been marooned for four years. This incident inspired Daniel Defoe's novel Robinson Crusoe. The city of Chihuahua, Mexico is founded. The first modern edition of William Shakespeare's plays is published in London, edited by Nicholas Rowe. 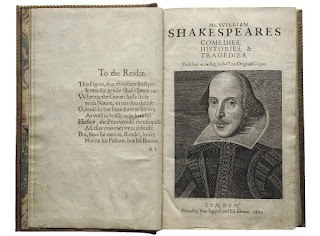 The world's first copyright legislation, Britain's Statute of Anne, becomes effective. French settlers at Fort Louis de la Mobile celebrate Mardi Gras in Mobile Alabama, by parading a large papier-mache ox head on a cart. This is the first Mardi Gras parade in America. The Tuscarora War begins when Tuscarora natives under the command of Chief Hancock raid settlements along the south bank of the Pamlico River, within modern-day North Carolina, killing around 130 people. New York City's Slave Insurrection. 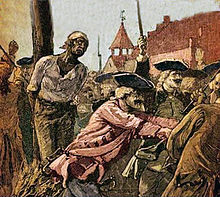 The result is that 9 whites are killed, and 21 slaves and other blacks are convicted and executed. John Arbuthnot creates the character of John Bull, to represent Britain. First Treaty of Utrecht between Great Britain and Spain. In it, Philip V is accepted by Britain and Austria as king of Spain, and Spain cedes Gibraltar and Minorca to Britain. The Second Treaty of Utrecht ends the War of the Spanish Succession. In it, France cedes Newfoundland, Acadia, Hudson Bay and St Kitts to Britain. The Treaty of Portsmouth brings an end to Queen Anne's War. The initial offer of the Longitude prize. 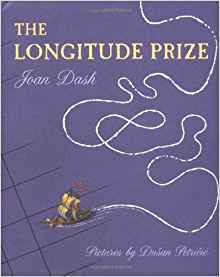 The Parliament of Great Britain votes "to offer a reward for such person or persons as shall discover the Longitude" They offer £10,000 for any method capable of determining a ship's longitude within 1 degree; £15,000, within 40 minutes, and £20,000 within ½ a degree. 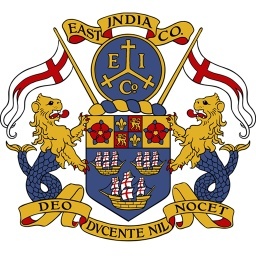 The world's earliest surviving mixed gender school, Archbishop Tenison's School, is established by the Archbishop of Canterbury, in Croydon, south of London, England. The Tuscarora Native Americans and their allies sign a peace treaty with the Province of Carolina, and agree to move to a reservation near Lake Mattamuskeet, effectively ending the Tuscarora War. Large numbers of Tuscarora then move to New York. 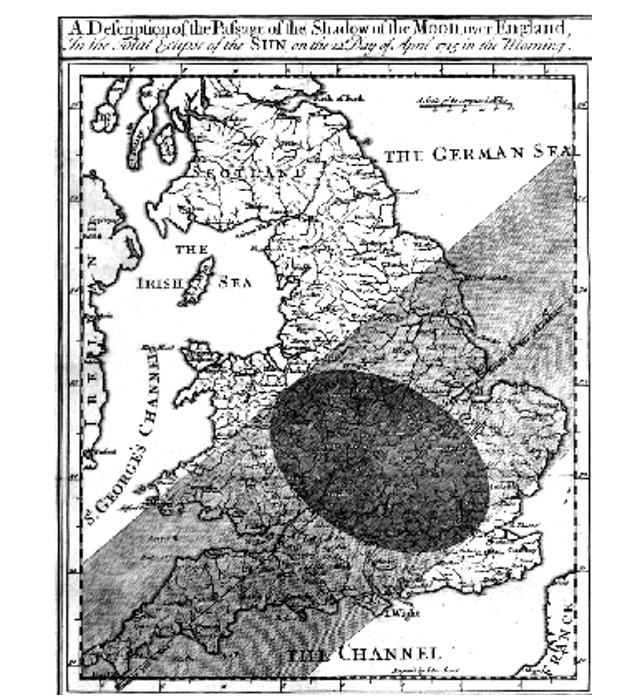 A total solar eclipse is seen across southern England, Sweden and Finland. Another will not be seen in the region for 900 years. A Spanish treasure fleet of 12 ships, sailing under General Don Juan Ubilla, leaves Cuba for Spain. Seven days later, 11 of them sink in a storm off the coast of Florida This will cause a “gold rush” for the spilled treasure. Gold from the wrecks is still being recovered today. Natchez, one of the oldest towns on the Mississippi River, is founded. Wapping, England, a notable slum and childhood home of many English pirates, is struck by a huge fire, destroying 150 houses. Sam Bellamy’s pirate ship the Whydah Galley, sinks off the coast of Massachusetts. 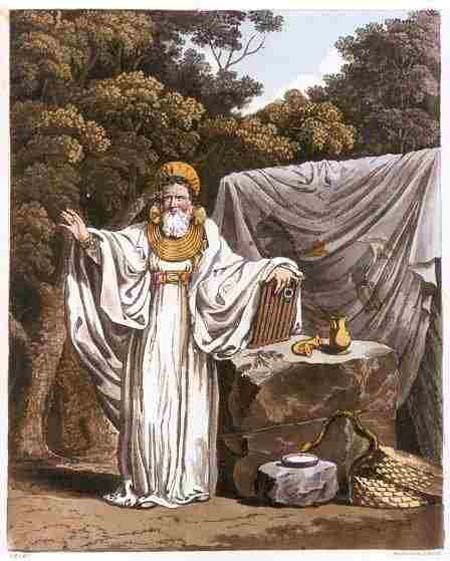 The first known Druid revival ceremony is held in London by John Toland at the Autumnal Equinox. Dancer John Weaver performs in the first ballet in Britain, shown at the Theatre Royal, Drury Lane. The white potato reaches New England from England. Daniel Defoe publishes Robinson Crusoe. 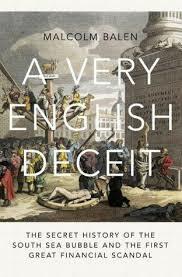 The first great financial scandal, the "South Sea Bubble" ruins thousands of investors in England. It is a scheme for the South Sea Company to take over most of the national debt of Britain, and the result of the rumors massively inflates share prices. The Lords Justice in Great Britain attempt to curb some of the excesses of the stock markets during the South Sea Bubble. They dissolve a number of petitions for patents and charters of similar institutions, and abolish more than 80 joint-stock companies of dubious merit. But this has little effect. The English stock market crashes, started by dropping prices for stock in the South Sea Company.